Public spaces come in many different sizes, shapes and forms. Squares, parks, playgrounds, shopping and residential streets, all belong to the outdoor space. They can be found in inner cities and beyond. They can be both big and small. Despite this diversity, there are a number of factors that determine whether a public space attracts or rejects people. 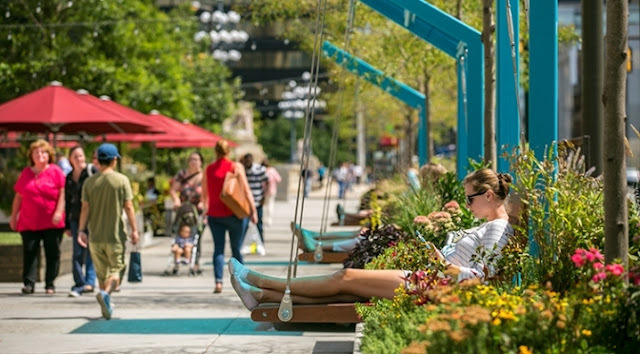 In this article, a top 10 - in random order - of items that can serve as a checklist for the realization of an inviting, lively and attractive public space. This article is also available in Dutch on Stadslente and in French on UrbaNews (translated by Edouard Malsch). There are several ways to transform a place into a destination. That starts with the simple rule that there is something to do. Basics like sitting, picnicking, playing, walking, feeding ducks, skating, biking, phoning, sunbathing, jogging, watching people, eating, drinking, reading, working, etc.. In addition to these disorganized, individual forms of use, people also go somewhere because there is an activity. Because there is something to experience. These collective forms of use can be of a structural nature, such as shops, restaurants, cafes, a toy rental, bowling/pétanque track, sports field, play and climbing attributes. 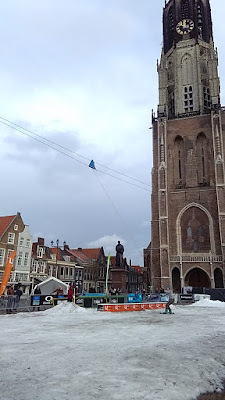 Or it can be temporary activities: a skating rink in winter months, a weekly market, a fair, a festival (with for example food trucks) or a concert. 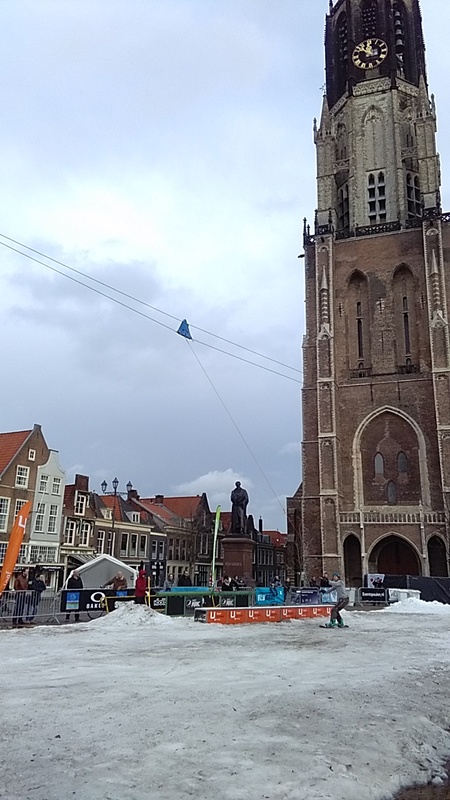 Or more out-of-the-box: sports events (football, volleyball, car racing, fly show, snowboarding - photo on the right), an open-air cinema, a street dinner, a temporary beach or temporary water slides (Bristol, Nijmegen, Rotterdam).They all get life on the streets. And that puts in place the most important rule: people attract other people. These activities can be organized by professionals, but often there are people or entrepreneurs who start something themselves. The reflex of professionals by this kind of initiatives is mostly to regulate. For attractive public spaces, however, it is desirable that municipalities facilitate such initiatives instead of controlling or banning them. For example, you can prohibit barbecues in parks because it often leads to rubbish or you support it correctly (See pictures below. 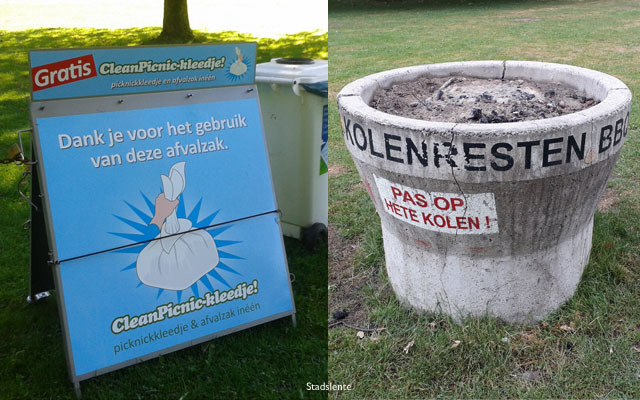 Left: picnicking-clothes that also can be used as a trash bag. Right: a bin for coal residues). The same applies for issuing licenses of mobile outlets (food trucks, ice bikes) and to allow terraces on the sidewalk and on the water (terrace boat). Whoever rejects those, misses a lot of vividness. Residents who wants to organize something in their streets and don't know how to start, can join National days, such as open street day, Neighbors' Day or Park(ing)Day. On some of these days, you can easily get a license to close your street for cars, which give you more space to organize activities such as flea markets, music-, dance-, fitness- or yoga lessons. And for the little ones: bouncy cushions, chalk-, frisbee- and roller skating competitions. For a vibrant public space it is important that there is a good interaction between the buildings, the outdoor space and the users. The design of the surrounding buildings can play an important role in determining the attractiveness of the public space. This attractiveness is increased when the human dimension is taken into account: our senses are stimulated in narrow, compact streets where the facades of the buildings continually change in color, shape, function, height and detail. In attractive shopping streets, you pass 15 to 20 stores in 100 meters, so you are surprised every five seconds with something new. The rule is that the facade of a store should not be longer than about six meters. Closed, passive walls with few doors, sealed off windows (photo above) or deepened/hidden entrances creates a counterbalance effect. The goal is to bring the inside out. 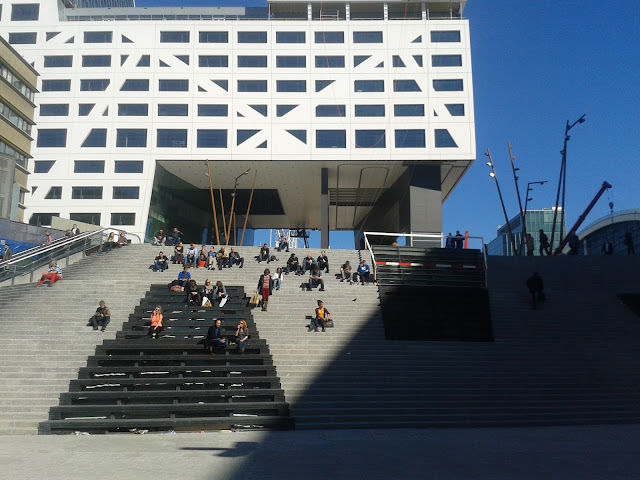 At the Pieter Vreedeplein in Tilburg (The Netherlands) you will see both good and less successful examples of what architecture can do with public space. You also need buildings around large squares for the so-called 'edge effect'. People often use the buildings for protection and support in the back and it protects against rain, wind or sun. Additionally, at the edges of a square one has a better view and you're not in the way of anyone. A public space that is not easy to reach is already in a disadvantage. Therefore, it is important to ensure that pedestrians, cyclists and / or motorists can easily get there. 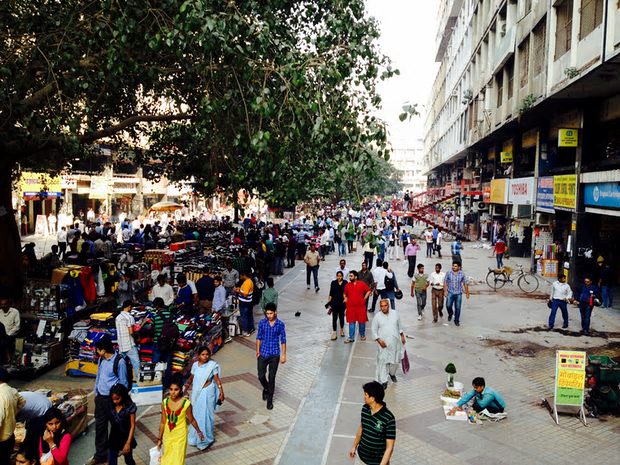 Each type of public space has got its own legalities and unspoken rules. For playgrounds, car availability is less relevant. It's all about the walking distance. For example, children up to 6 years have an action radius of about 100 meters. 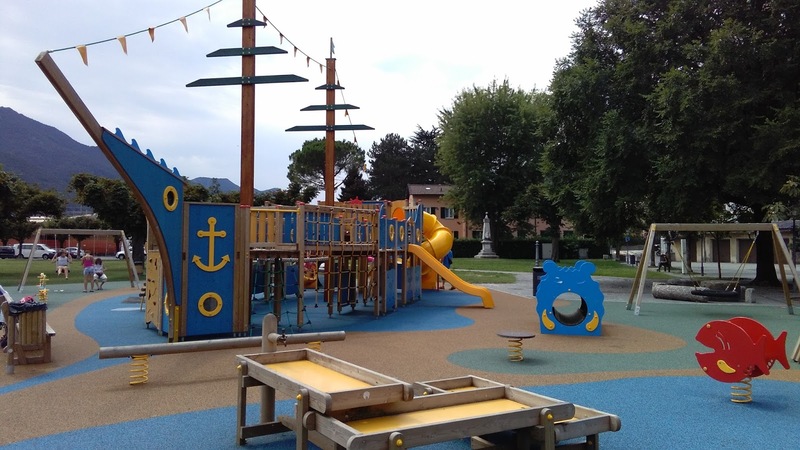 Over 12 years, the play facility may be further away (800-1000 meters). Other rules apply for the flow to a restaurant or shopping street. Then it is important that there is a parking garage, bicycle storage and public transport at a reasonable walking distance (up to 500 meters). The more alternatives the better. For example, in Venice - the city of human size - there is no single address more than 300 meters away from a stop for public transport. In addition to the accessibility of the various modes of transportation, it is also important that a public space is easy to enter and found. For example, by ensuring that there enough direct and logical routes to the destination. Marketplaces in old cities are - for example - always approachable from multiple sides. Those different routes should also be passable. Busy motorways can provide an insulating effect. An extra pedestrian crossing or bridge can sometimes do miracles. Too much (badly tuned) and long-lasting traffic lights can prevent pedestrians from going to a certain place because the walk takes too long. Finally, accessibility is also about the passability for people with physical disabilities. People with a walker or wheelchair must also be able to reach the spot easily. The same goes for parents with prams and baby buggies. Are you protected as a pedestrian and cyclist against unsafe (traffic) situations or is the focus on the car? Does the street have a pleasant, even surface (also for women with heels) and is the street free of obstacles? Is the sidewalk wide enough for crowds (to keep it comfortable: up to 13 people per minute per meter sidewalk)? Is the square not too big? Is it possible to be yourself and feel included as part of a community? Are there enough places to protect yourself from wind, rain or heat? Are there any places in the sun? Is there not to much noise so you can have a normal conversation (a noise level of 60 decibels is experienced as the maximum level)? Does the street furniture supports conversations? Is there no excessive exhaust gases, stench or smog? Can you drink something nearby and go to the toilet? All things that can make it more comfortable. See for example the authentic Place des Vosges in Paris. Monotonous and monofunctional places are a lot less attractive than places where you can do a lot of different things. A business park is often extinct after working hours. And on the street in a residential area it is quiet during office hours. Mixed use has a positive impact on the diversity of users and the times of the day and week in which the public space is used. Diversity can also be achieved by offering sufficient activities (number 1), diversity in color (number 6) and by using various materials in the facades and underground. Easily visible at playgrounds. The more diverse, the more interesting it becomes for children to visit them. In addition, diversity means that a public space is not used by one particular group (such as for example at a football pitch). Diversity can also be in small things. This is, for example, the starting point of the 'triangle method' of urban researcher William H. Whyte in which certain elements (telephone cell, bench, bin) are placed close enough to allow people to converse. Where things are combined (playground, eatery, seating), meeting points are created. Appearance does matter. Fully hardened squares are boring. Adding some water elements or greenery (trees, plants, flowers, grass) gives a space a different atmosphere. But more variation in color can also be achieved with a brush and some paint. It's cheap and it creates a totally different appearance. 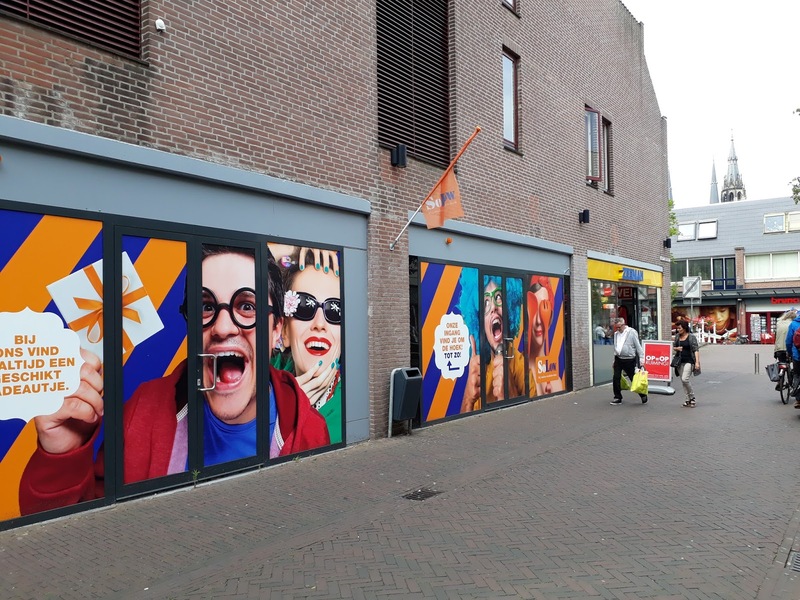 Examples are painted facades, stairs, gates, murals and streetart (for example, in 3D). Famous examples on a larger scale include the Jelly Bean Row houses in the Canadian St John's, Notting Hill in London, the favela's in Rio de Janiero and Tirana (the Albania capital) where the mayor painted the flats in fierce colors. With current techniques, color is also easy to add in public space by means of light. Many cities even hold light festivals to spot their facades and works of art (Eindhoven, Amsterdam, Ghent). In Hong Kong there is a light show every night. With many of the principles mentioned in this article, the solution does not resemble large-scale renovations of squares or parks (redevelopment). It is often a matter of small, temporary interventions that can already lead to a huge improvement (programming, management, maintenance). However, that does not mean that redevelopment can sometimes do much for a public space. Color often plays a major role, as shown below at a square in The Hague (The Netherlands). A public space can only flourish if the pedestrian is the starting point of the design, the facilities and the programming. In a car-free street for example you will see another dynamic (both in inner cities and residential streets): it creates space for front gardens (soft transition), terraces and children to play. More people are going to use these public spaces. Liveliness arise. People get the change to meet other people. That doesn't mean that everything should be car-free, but slow traffic provides most of the time lively cities. It is about the right priority. 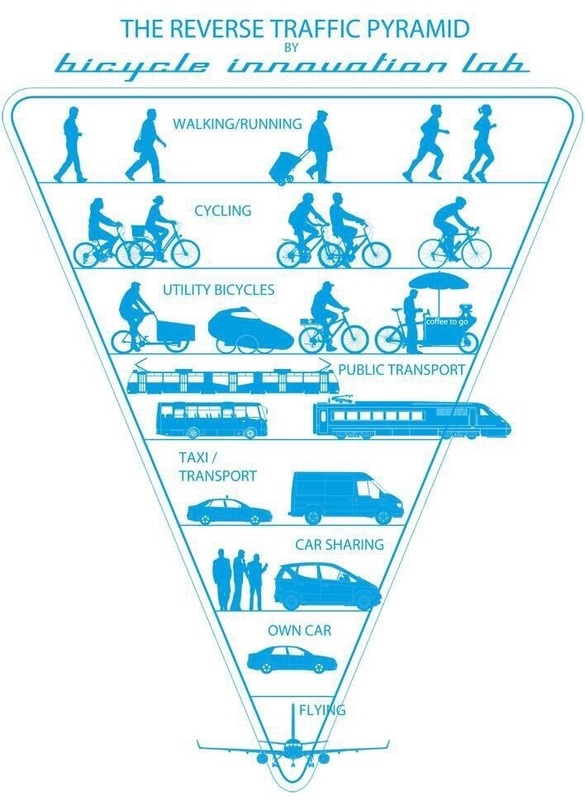 Pedestrianism and cyclist as part of urban policy. For example, in the so-called shared spaces, roads are designed as living space so that they are not immediately interpreted as traffic spaces. The motorist is and feels like a guest. To achieve this, directional features such as traffic signs, traffic lights and sidewalks are absent as much as possible. Instead riding obstacles such as bicycle clips, benches and flower boxes are placed. The New Road in English Brighton and the road behind Amsterdam Central Station are nice examples. If it is not possible to create a shared space, at least the different traffic flows must be clearly separated, so that the safety of cyclist and pedestrians is guaranteed. 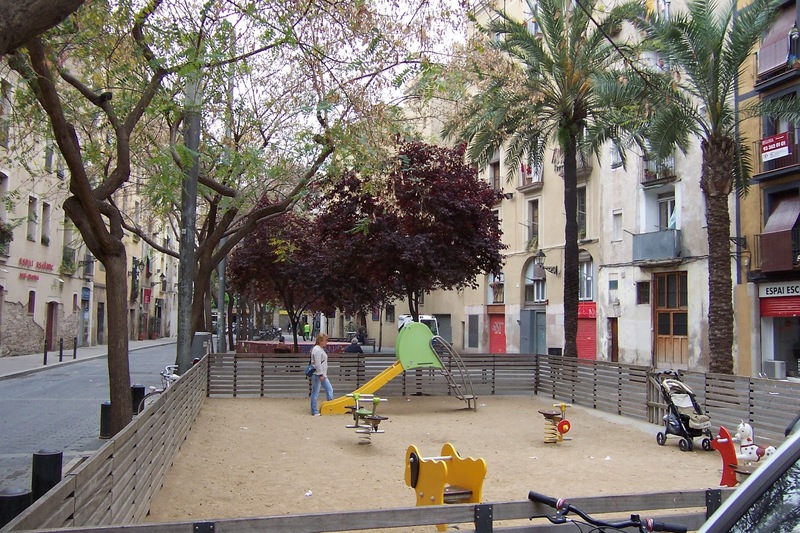 Pedestrian friendliness can also be increased by closing certain streets for ongoing traffic (such as the Superblocks in Barcelona), expanding sidewalks, narrowing the motorway, placing additional pedestrian crossings, lowering the maximum speed, placing more trees and placing stop signs instead of traffic lights. Research shows that these measures make cars drive more slowly and more cautious. This actually speaks for itself. Detached paving stiles, neglected parks, poorly maintained facades, street lights that are out of order, broken street furniture and contaminated squares are unattractive and will prevent people from visiting that public space. Clean: The extent to which a public space is clean can be affected by regularly cleaning litter, removing graffiti and placing sufficient trash cans (research shows that green waste bins in public areas get 66% more waste than gray waste bins). Unbroken: For use intensity, it is important to repair loose tiles, broken lamps and worn out play equipment. In addition, public spaces are also a lot more attractive when trash cans, bicycle stands, benches, poles, tiles and street lights don't look cheap but have a good design. Safe: Safety can be created by the aforementioned traffic safety (think about fences around playgrounds so children can not run into the street). It is also about social safety. Public spaces are a lot more pleasant (even in the evening) with the presence of clear sight lines (overview), enough light and enough - next to other people - 'eyes on the street'. In other words, no blind facades or dark loading and unloading facilities, but buildings with sufficient visibility and interaction with the street. 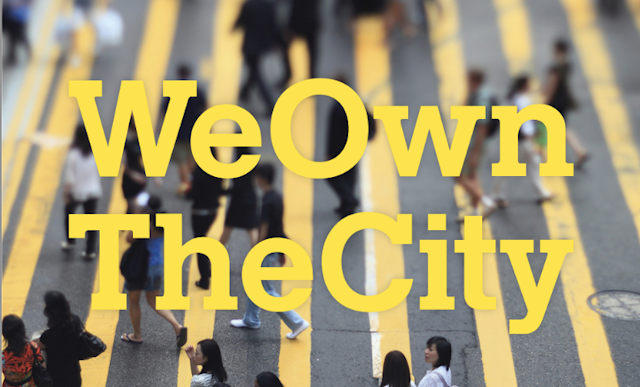 This can be realized, for example, by actively combating shopping vacancy (possibly via pop-up stores). And by thinking about a good transition between the building and the street when new construction is taken place. For example, by oblige sufficient translucent windows, detailing and vivid functions on the ground floor (see number 2). In existing buildings, it is important that clad windows (with, for example, advertising panels) and fully closed steel shutters are avoided. They create a sense of insecurity (and a canvas for graffiti). Some municipalities have prohibited these shutters. Instead, semi-transparent shutters give a completely different feeling. Extended opening hours and houses above stores also have a positive impact on security feelings. In addition to activities and sporting events, public spaces often get extra appeal when there are 'playing' elements. Attributes that interact with people. This goes beyond the standard playing facilities we see in playgrounds. Interactive elements can also be realized for adults. Take for example large swings that make music or huge seesaws. One can also use water elements and art. Both can provide interaction, atmosphere, relaxation and status, and in addition they often act as eye-catcher. At the Millennium Park in Chicago - with its waterfalls (Crown Fountain) and infectious artwork (The Bean) - it works optimally. In addition, there are traditional board games that can be brought outside, such as chess, dams and scrabble. Or playing blocks. Or musical instruments such as piano's. Finally, a public space only works if there are enough opportunities to sit and stand. Imagine an empty square: plant a tree and put a bench underneath. A destination was born! The same goes for a bench on the street near your front door. It's not just about the number of seating possibilities, but also where and how they stand. Some people want to be in the sun, other out of the sun. One prefers a quiet place to work or read, while others prefer interesting views (at activities or other people). Research shows that benches with the opportunity to watch other people are the most used. This certainly applies to fathers and mothers who want to keep an eye on their child. Reason why moveable chairs are ideal for users of public spaces. This gives flexibility. Also, people are liked to be protected from wind, cold and rain. Restaurants and cafes use heating devices, windshields, blankets, awnings, canopies and large parasols. In squares professionals can use hedges, stairs, statues and trees. Although this article is based on the differentation of success factors into categories, one should always combine these factors to get an attractive public space. Jan Gehl (2010) Cities for People. Island Press. Jan Gehl en Birgitte Svarre (2013) How to study public life. Island Press. Adam Greenfeld (2017) The Greatest Buildings Ever Sold. The Plaza Perspective. Gerben Helleman (2013) Making Vital Public Spaces: the power of observation, community wishes and activities. Blog Urban Springtime. KEI (2010) KEI-atelier Veiligheid in de openbare ruimte. V67. Rotterdam. Marlies de Nijs (2015) High-rise op ooghoogte. 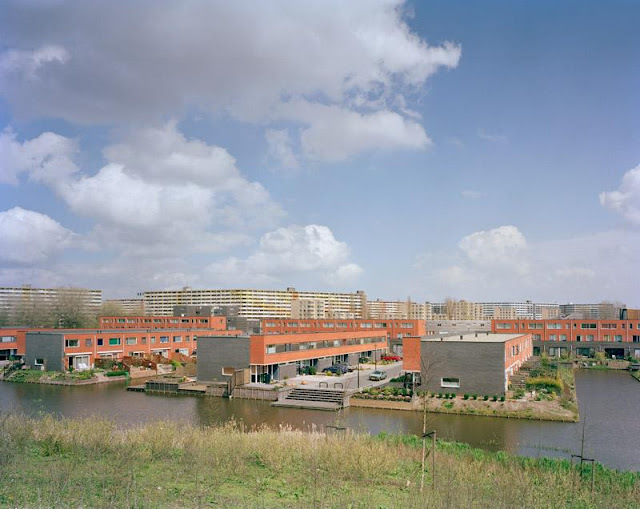 Rotterdam/Delft: Erasmus Universiteit/ Technische Universiteit. John Parker (2001) Safer spaces & places: reducing crime by urban design. Council of Europe. Jay Walljasper (2007) The Great Neighborhood Book. Gabriola Island: New Society Publishers. I generally agree on the criteria. That I can sit is one of the most important criteria for me: enough benches that are clean in combination with a bit of green. These are important for being "at home" / feeling welcome. Moreover, I must say that I find the car-free shopping streets boring in all French cities. No bank, no seat, no mix of functions, a depressing consumer ideal (very often aimed at consumption), and in the evening, deserted streets that are notorious and that I do not enjoy walking there. I prefer a mix. Also included car traffic (it is not a deserted street, the area can be limited to 30km/h) and with a mix of food / shops / bars / restaurants. The architectural design of the space and the facilities are a plus, but the place and the adjacent activities will determine the use potential. On the outskirts of the city, the public areas are usually too large in relation to their use possibilities, which adversely affects contact, the social bond - paradoxically enough - while this was the goal that urban planners sought. We still think too big, all drenched as we are by this age of the car and the rejection of urban promiscuity. Yet small-scale for a pedestrian, on the street, still is the most beautiful and pleasant.